The members of our band have many years of experience playing a wide variety of music. Our set list ranges from Classic Rock to Classic Soul to 80’s Hits to New Orleans Music to ROCK 'N SOUL Originals. However, you won’t find make-up and wigs here! We take pride in providing our fans with “music that will rock your soul”. So, come and hear what you’ve been missing from other cover bands and experience “New Orleans' only rock band with soul”. just the best band ive heard live in a long time. we had such a great time looking forward to my next booking with them. also there personality with the customers was great. Hi Wayne! Just wanted to thank you again for the wonderful review of ROCK 'N SOUL. We are looking forward to coming back to rock again! The YMCA loves Rock N' Soul!! They have played for the YMCA Gala for the last two years and they are just so much fun. You can't help yourself....you just have to dance. We received lots of compliments on how awesome the band was, and the dance floor was crowed all night. Everyone really had a good time! Thank you so much for writing such a wonderful review on us. We love playing the Y.M.C.A. Gala! Looking forward to playing your next event. 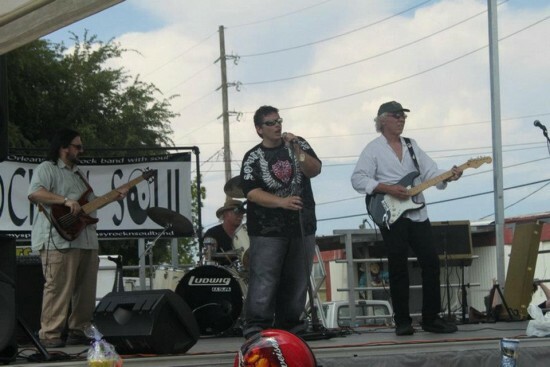 Hire Rock N' Soul for your event!!! Michael, Richard, Andy and CJ rocked my daughter's baby shower. They got to our house right on time, set up and were ready to rock out. We have several accomplished musicians in the family that joined in on the instrumental side. Many bands will not allow that. Furthermore we had some terrible family vocalists but the band let us join in on multiple songs. All four band members had great personalities and were high energy. Multiple oncores when the humidity was stifling. I highly recommend Rock N' Soul for any event. They even played unscripted songs. Our family to this day still email and talk about the blast we had. Our family memories would not be complete without the band. Great job gents and any future parties in Slidell will definitely include Rock N' Soul. Just wanted to thank you again for writing such a wonderful review on us. We had a blast playing your party! Looking forward to playing your next event. 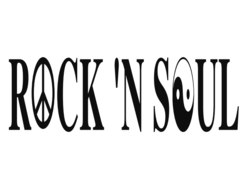 ROCK 'N SOUL was formed in the summer of 2008. The members of our band have many years of experience playing a wide variety of music. We are not a typical cover band! We appeal to a large demographic of fans and are turning heads everywhere we play. Our set list ranges from Classic Rock to Classic Soul to 80's Hits to New Orleans Music to ROCK 'N SOUL Originals. However, you won't find make-up and wigs here! We take pride in providing our fans with “music that will rock your soul”. So, come and hear what you’ve been missing from other cover bands and experience “New Orleans' only rock band with soul”. Check out one of the upcoming shows and hear for yourself what everyone is talking about. 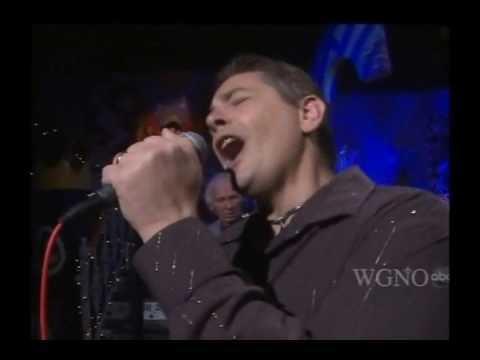 (Brother Mike) Michael Tujague - is originally from New Orleans and is an exceptional vocalist. His soulful stage presence, high energy level, and large vocal range has been captivating audiences throughout the metro New Orleans area. Mike is known for singing many genres of music including: Classic Soul, Rock, Alternative, Country, and Ballads. He studied voice and music theory at Southeastern Louisiana University. The name Brother Mike was given to him at a vocal competition by a representative from Cash Money Records. Mike worked with New Orleans recording artist Jimmy Jules in the band Southern Cookin as the lead singer performing Classic R&B on Bourbon Street at Sing-Sing and The Blues Club. 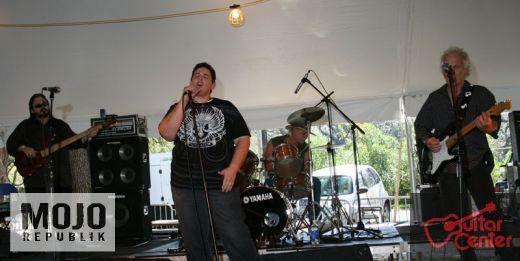 He has also played local festivals as the lead singer of the BCSN Band. Richard Gaspard - has been playing guitar for over 40 years He’s been rockin’ the New Orleans area in local cover bands for over 30 years. Richard is one of the original members of The Buck Town Allstars. His experience really shows, from the moment he touches his guitar, as heads always turn in the crowd during his solos. He’s played Bourbon Street, local festivals, and clubs/bars. C.J. Britze - has been playing drums for over 40 years He’s been beatin’ out the tunes in cover bands in the New Orleans area for over 30 years. C.J. and Richard have known each other since they were teenagers and have been in some of the same bands together over the years. If Mike and Andy are the “Soul” in the band, then Richard and C.J. are the “Rock“. He’s played Bourbon Street, local festivals, and clubs/bars.